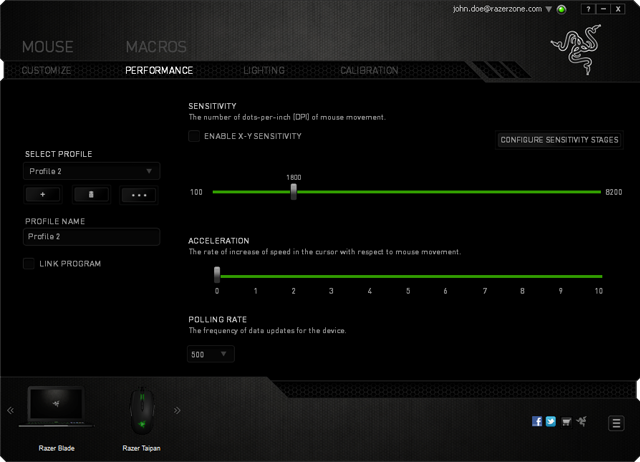 Every game is different and comes with its own set of control requirements. 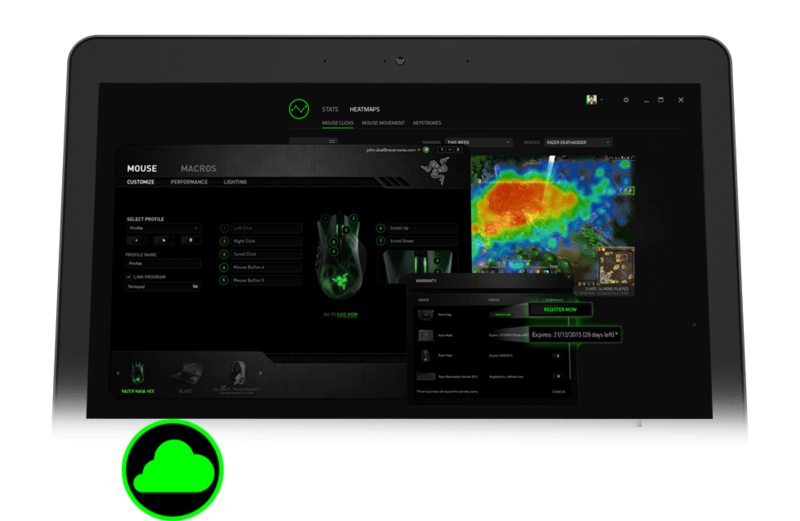 No longer limited by onboard device memory, Razer Synapse 2.0 brings the brain of your Razer hardware to the cloud allowing you an infinite number of profiles, configurations, and allows for longer, more complex macros. 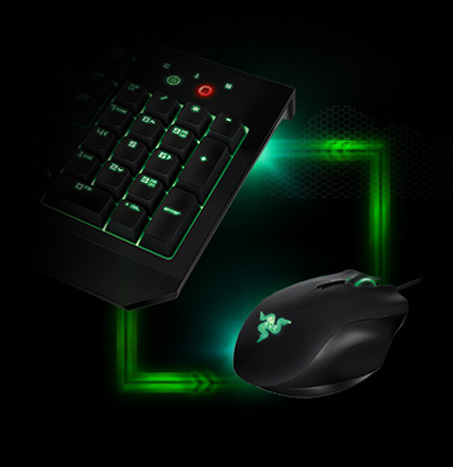 VoIP Client, Instant Messenger and IRC-Chat combined in one. With powerful group and channel administration, you can create sub-channels of your main group and have your admins text or voice mute individual members or whole channels. 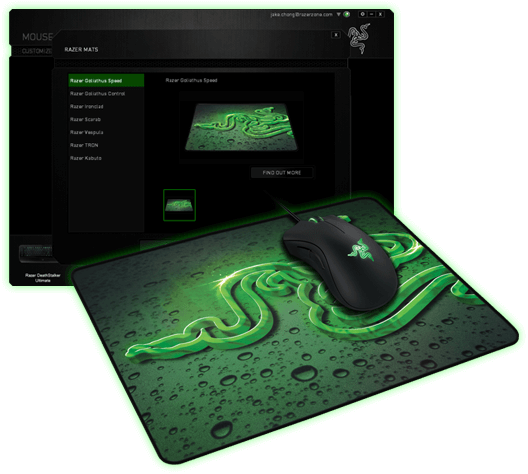 By calibrating your Razer mouse to a specific surface, it enables the sensor to record that surface’s color, topography, and other such properties. 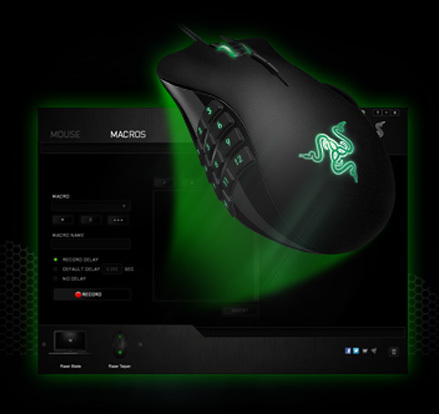 As variations on the surface are continuously detected as the mouse moves, it is compared to the original recording, allowing the sensor to react quicker and more accurately.